Even though I hunt coyotes pretty much year round, if someone were to ask me to only pick one time of the year to hunt, it would be January/February. This is due to the fact that coyotes are much more active during these months in Missouri, because of breeding. I recently asked two expert predator hunters to share some of their tips of when and how they successfully hunt this time of year. The two experts that I questioned, Les Johnson of Nebraska; who is recognized as one of the nation's top predator hunters and is the host of Predator Quest TV, and Kentucky native Jon Collins; who has been harvesting several coyotes a year while hosting his show Tooth and Claw TV. When is the mating season for coyotes? Les Johnson - I think it all depends on what part of the country you live in as to when the coyotes begin to breed. In Nebraska I believe it ranges from early to late January and sometimes extending on into February. In other parts of the United States and Canada, I have noticed that it carrys on all the way through February and into March. Jon Collins - To me it seems like breeding starts around mid to late January. In my home state of Kentucky late January seems to be the hot time for breeding activity. What is different about hunting during the mating season compared to the rest of the year? Les Johnson - Whenever I am hunting during the breeding season and later in the year, I will sit longer on stands. I think being more patient and sitting there far longer gives the curiosity of roaming coyotes a chance to come and investigate the sounds. I have also noticed that pairs of coyotes sometimes will not show any interest in coming in, due to them being more concerned about their mate. Tip from Les: When I know that I am within earshot of coyotes I will normally sit 45 minutes or longer on a stand during this time of year. Jon Collins - The biggest difference for me is that I change up my calling tactics. I focus less on prey/distress sounds, and start using more coyote vocals. I start using sounds/calls that will bring coyotes in on a territorial, or curiosity response. Tip from Jon: If you're lucky enough to call in a pair of coyotes try your best to identify the female. If you can shoot the female first you'll have a better chance of stopping the male with coyote pup distress, or coyote fight sounds. This will increase your odds of picking up a double. What type of calls/sounds do you use during the coyote mating season? Les Johnson - I never mix it up a lot while calling coyotes. Many predator callers in this day and age would not know how to call a coyote if it were not for an electronic game caller, it's much deeper than that for me. I use my handcall and sometimes throw in some kiyi's, a lone female howl, but mainly I stick to my same old Jackrabbit distress sounds on my hand call such as the Predator Quest Ruffidawg. Tip from Les: I don't do any coyote barks because I want all coyotes to feel safe to come in. But, that is just me and what I like to do, then after 5-8 minutes and a couple of series of howls, I will lead into rabbit in distress call. Jon Collins - I will use a lot of coyote vocals during the coyote breeding season. I like to let out 2-3 howls on a diaphragm call. If no response in the first few minutes I'll let out a couple howls from my Flextone FLX 1000 Electronic Game Call . Then I will follow that up with a short series of pup in distress and coyote fight sounds. I have had a lot of luck with that sequence during the breeding season. 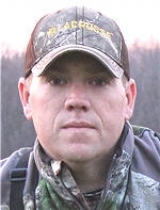 For more information and tips from Predator Quest TV's Les Johnson visit his website predatorquest.com and watch his popular YouTube channel 'Everything Outdoors with Les Johnson'. For more information and tips from Tooth and Claw TV's Jon Collins visit wiredoutdoors.com there you can also watch past episodes of 'Tooth and Claw TV'.